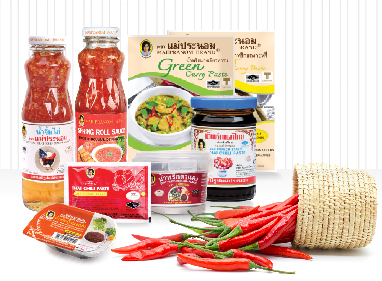 ​Phiboonchai Maepranom Thai Chili Paste Co., Ltd. was established in 1959 by Mr. Sirichai and Mrs. Pranom Daengsupha and began with only a single product of Thai Chili Paste in glass bottles under the trademark “MAEPRANOM BRAND”. Later, the business evolved and has grown to be one of Chili pastes, dipping sauces, curry pastes, and instant seasonings under “MAEPRANOM BRAND” and “SIAM KITCHEN BRAND”. With a strong commitment and positive vision of the management team, the company has oriented its policy towards high manufacturing standards and quality control system to keep the highest hygiene and safety for consumption, and modern production technologies to innovate more varieties in order to gain the highest customer satisfaction. As a result we have been accredited by international standard certifications such as BRC, GMP, HACCP, Q-MARK, lSO9001 and HALAL. Up-to-date production technologies have been adopted and applied, as well as the research and development programs have been implemented to deliver varieties of new products into the markets. The core policy has conveyed our company’s mission “MAEPRANOM BRAND products have NO artificial colours, NO MSG, and NO preservatives. Furthermore we have selected our raw materials based on natural herbs and fresh ingredients in order to gain the highest hygiene and safety consumption standards”. Therefore “MAEPRANOM BRAND” products have been well-known among Thai and foreign consumers in both domestic and overseas markets. more inventions, researches, technologies, and new products to meet customer satisfaction. Proudest of all is that our “MAEPRANOM BRAND” products have been accepted world-wide as premium quality, authentic Thai sauces and seasonings to serve the best Thai cuisines around the world. 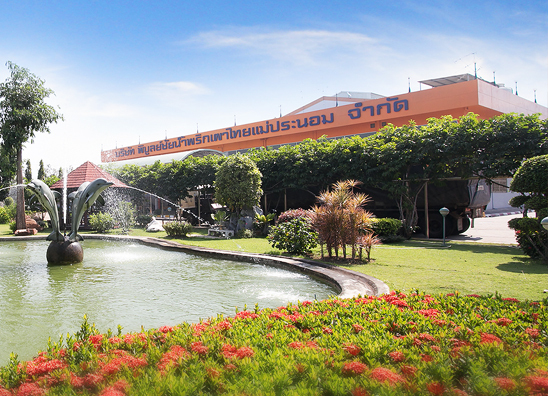 "Phiboonchai Maepranom Thai Chili Paste Co., Ltd. was established in 1959"